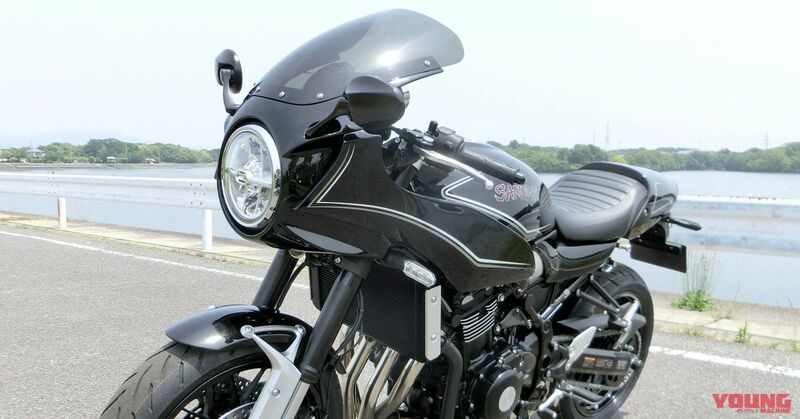 Authorised Kawasaki retailer ‘Pleasure’ in Aichi prefecture who are famous for producing top end exterior parts, have begun sales on a quarter fairing exterior panel set for the Z900RS. With traditional ancient Japan as the theme, the fairing set has been called “Samurai”. 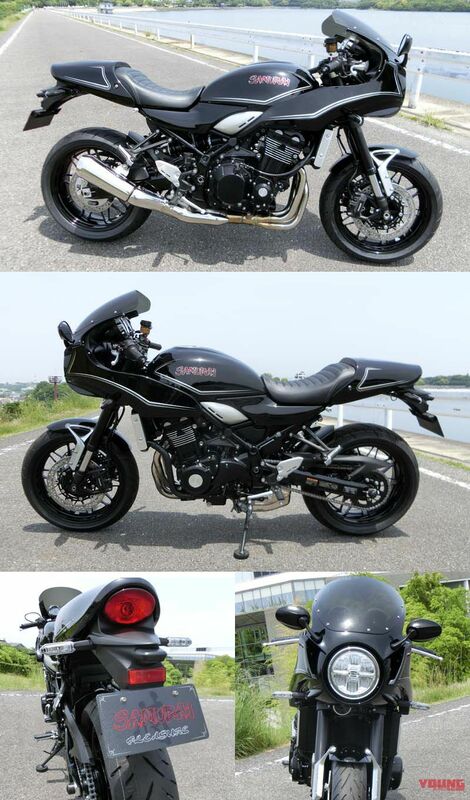 The “Samurai” modified Z900RS by Pleasure that was introduced on this website on 27th April finally goes on sale. Within the numerous Z900RS models that have been modified there are few that have been done in quarter fairing, and it is distinctive of Pleasure to have produced high end parts akin to a genuine OEM standard, all the way from the inner-fairing to the mirrors. On this occasion, notice of the commencement of sale and prices have been announced. Riders can brace themselves for a shape that is based on the motif of a Japanese sword, that expresses the spirit of the “Samurai”. Details considered in the kit include some convenient and safe features, such as a 12V power socket installed on the inner-fairing, and retractable mirrors. (Pleasure Samurai complete price: Approx $19,250 (Black) / $19,550 (Fireball). The price of a complete bike differs depending on the colouring of the base machine. Also, the width and height of the body are changed, so it is necessary to carry out a procedure for content changes when registering. The “Samurai” points towards the principle of a Japanese warrior, a swordsman that is proficient in martial arts, and is courteous and knowledgeable under what is called the Samurai code. There is also the ideology that they must hold absolute obedience to their master. The design of the “Samurai” takes its inspiration from this distinctive Japanese culture that is both delicate and considerate, while giving the sense of intimidation that if one doesn’t draw their sword then the outcome of a battle will be decided, as a true Samurai must put his own life on the line for the sake of serving their master. Within this new design, the bike includes the same unchanged traditions from the past. The fairing kit costs approx $4,450, and the non single seat fairing kit is $4,250. The separate handlebars and quarter fairing should set off a sporty ride.